Instagram is one of the popular social platforms that have a large number of users. 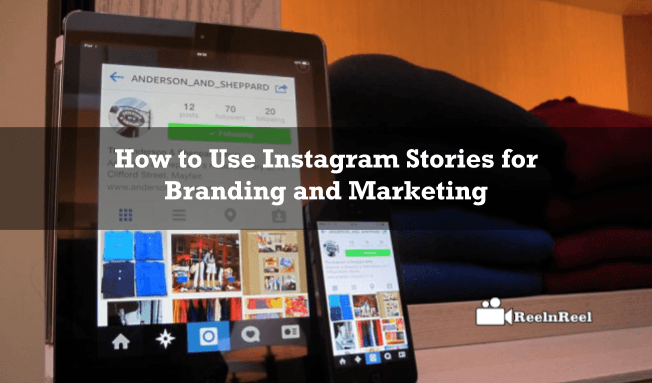 It is easy to use Instagram stories for branding and marketing and this feature was added by Instagram to allow the users to create temporary videos or photos to form a gallery. Instagram stories were introduced to get the user’s post bunch of photos or videos. It is easy to create the Instagram stories. Here are the steps to create Instagram stories. Go to your home screen on Instagram and tap the plus button on the top left side. Tap the circle button at the bottom of the screen to either record the video or to take pictures. Edit the photos or videos by adding required text. You can also use the pen icon to add required effect. After completing the editing tap on done and save the story. The story can be shared by tapping on the check mark button. Numbers of brands using Instagram are increasing. These brands can use the Instagram stories in the following ways. Stories can be used to take the followers and a journey and tell the behind the scenes stories. Instagram Stories can follow by all the brands irrespective of sizes. Stories help the followers to pay more attention to the feeds and boost the engagement. Instagram stories allow the brands to collaborate with other influencers and brands and share their content. Instagram stories can be used by brands to produce live video content also. An Instagram account must be different from the personal account. With more than five hundred million active users per month millions of photos and video uploads per day, this is the place for brands to market themselves and increase their sales. Instagram stories allow editing, uploading photos and videos and sent messages, upload advertisements, etc. and all these can view by the audience for twenty-four hours. Show behind the scenes to your followers or show them a day at your office or post questions and answers. Post tips and tricks for different brands. Offer discounts on Instagram stories. The discount will be available for twenty-four hours, and the customers will have to rush to avail the discount. It is helpful to increase the sales. Create Instagram stories and use the Mentions option to tag more than ten people to a post. Put links to the stories. However, this can be done only by the verified Instagram users. The users can insert Boomerangs in the Instagram stories. Boomerang stories can be posted directly on Instagram stories. Tag individuals within the story and this are very effective practices in increase engagement. Make each follower feel special. Brands can create person specific content and content that is valid for an only limited time. Assess the success of the stories by measuring the opening rate, completion and so on. Another indicator of the success of the story is the feedback of customers and subscribers. Instagram stories are similar to Snapchat in many ways. However, there are some differences. On Snapchat stories, brands can upload polished photos unlike the raw photos on Snapchat. It is the most preferred social network for brands who would like to target the Gen Z. Brands use Instagram stories to take viewers to the exclusive events or behind the scenes. Instagram stories can be used to connect with the fans emotionally. Instagram offers the large audience to the posts.